This is our most popular performance distributor! 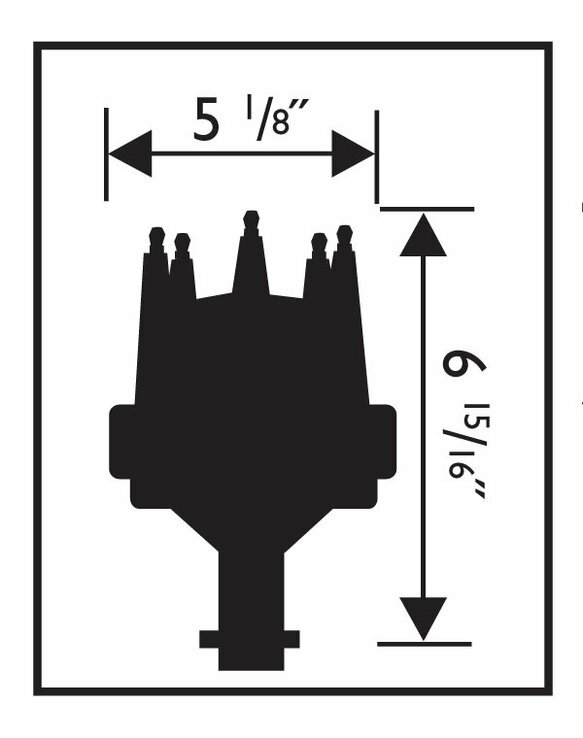 Must be used with an MSD 6, 7 or 8-series ignition. The housing is machined from a billet of 6061-T6 aluminum on a state-of-the-art CNC machine producing exact tolerances. For high rpm stability, a .500" steel shaft is supported by a sealed ball bearing and a long sintered bushing. 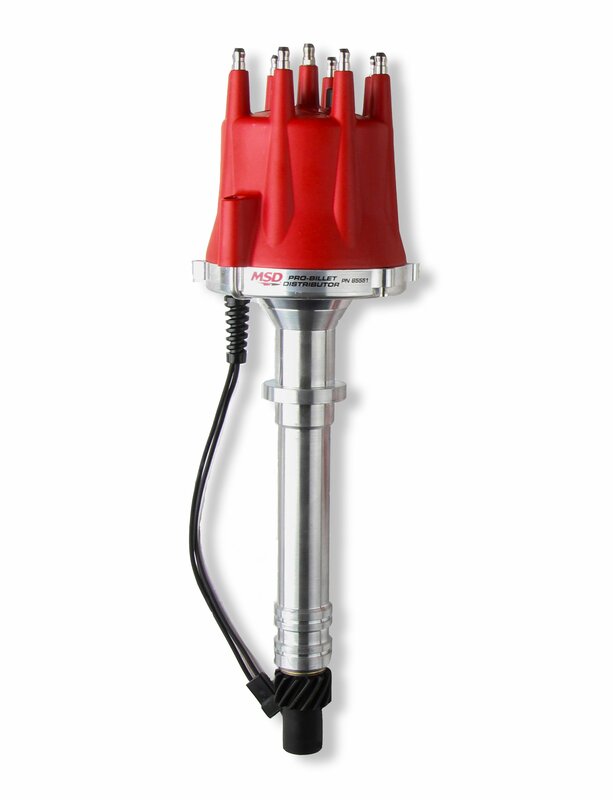 This shaft also receives a QPQ coating for friction reduction and resistance to corrosion. A precision machined reluctor is attached to the shaft which triggers the magnetic pick-up mounted in the housing. This high output magnetic pick-up is the most accurate way to trigger your ignition. Plus, with no moving parts to wear or adjust, the pick-up is maintenancefree! 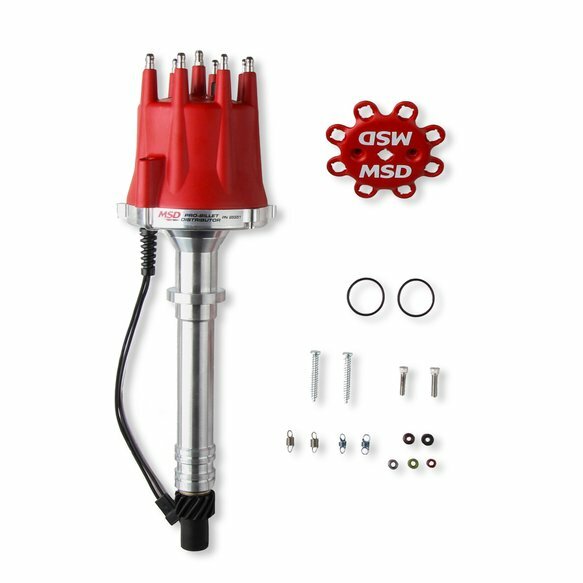 Just above the pick-up is MSD's adjustable mechanical advance assembly. 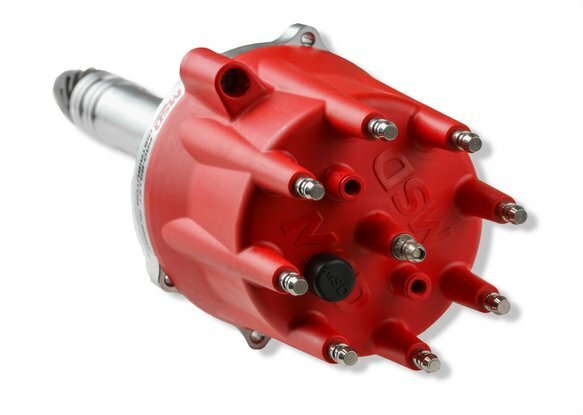 Different springs and stop bushings are supplied so you can tune an advance curve to match your application. 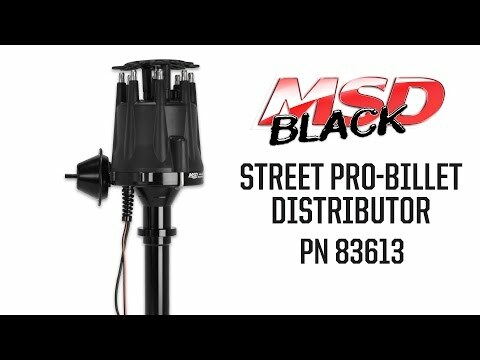 Must be used with an MSD 6, 7 or 8-series ignition.